إذا كنت تبحث عن عقار بموقع جيد في المدينة، فقد وجدت ضالتك في Riccarton Mall Motel. يحظى هذا الفندق ذو 4 نجمات بمكان ممتاز يسمح بالوصول إلى المعالم السياحية الأكبر في المدينة، فهو يبعد مسافة 2.0 Km عن صخب المدينة. يوجد العديد من المعالم السياحية الأكثر جذبًا للسياح في هذه المنطقة. ادخل إلى واحدة من الغرف 10 وتخلص من عناء نهار طويل بمساعدة مجموعة كبيرة من الخدمات كمثل تلفزيون بشاشة مسطحة, كرسي عالي للأطفال, مواد تنظيف, قهوة فورية مجانية, شاي مجاني الموجودة في بعض الغرف. سواء كنت من محبي الرياضة أو كنت تتطلع لتفريغ عناء نهار صعب، ستجد خدمات ذات مستوى عالي بانتظارك كمثل مسار جولف - ضمن 3 كم, حديقة. إن Riccarton Mall Motel هو مكان مثالي للمسافرين الذين يتطلعون إلى الراحة والاستجمام في المدينة. 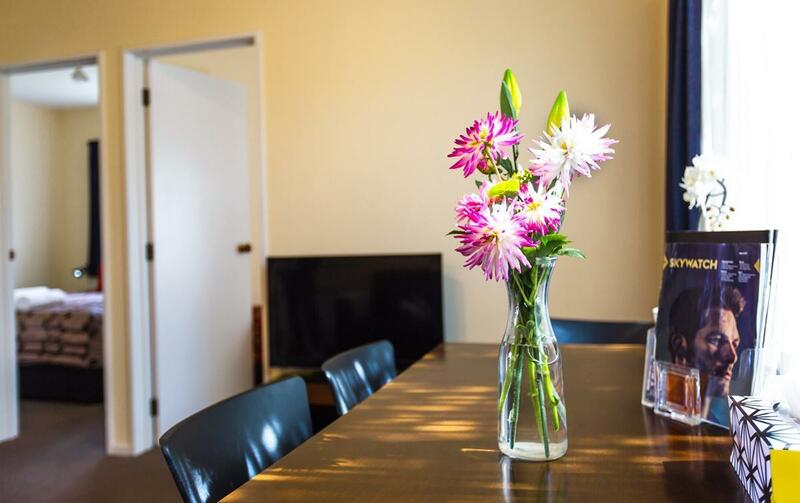 Clean, relatively spacious for the 3 of us and conveniently located right across the mall. Easy access to the city with buses or 8 min drive by car. 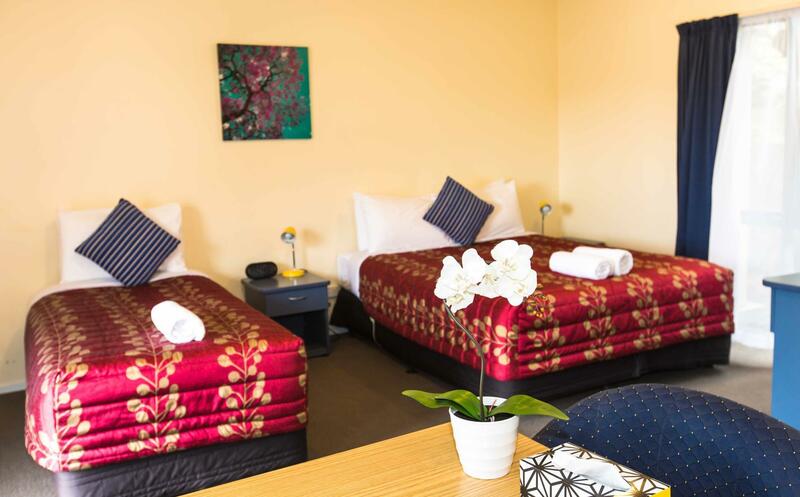 We chose to stay at this motel is for its location right opposite Riccarton Mall where we can easily pick up stuff from the supermarket and Kmart (which closes really late & is abt the only thing a family can do in Christchurch late night). 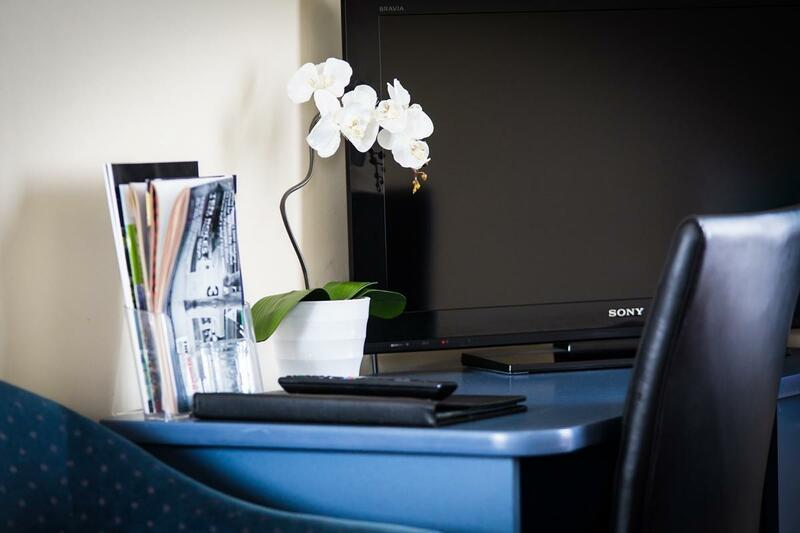 Room is big and comfortable, with a well equipped kitchenette. The bathroom is big but unfortunately is badly designed with an open shower type design with shower curtains not reaching to the bottom, resulting in the whole (big)bathroom being wet after one use. And walking on wet floors during the coming cold season is definitely not a comfortable experience. 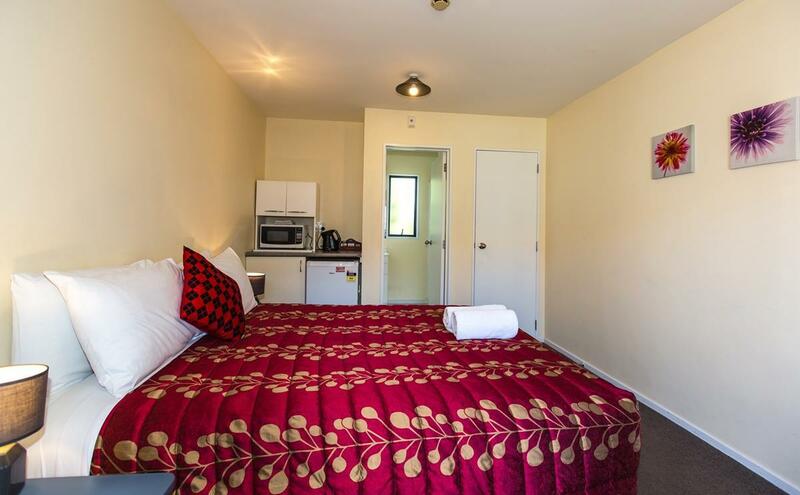 It's also the only motel I see in NZ fitted with a instant type water heater. Luckily the heaters in the bathroom & sleeping area are adequate to warm up the room quickly. The location was great, just opp the mall and many eating place around. 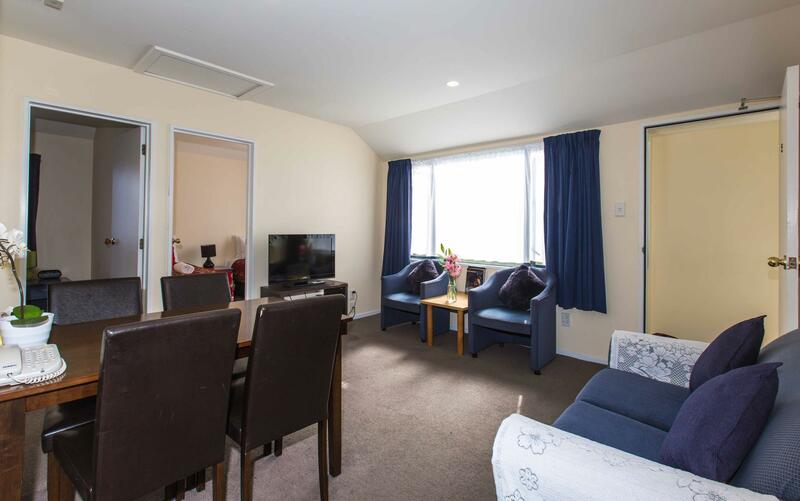 Exceptional service, clean, comfortable room, perfect location close to city and right across the road from Riccarton Mall. The motel is well located. Large shopping mall, supermarket just across the road. 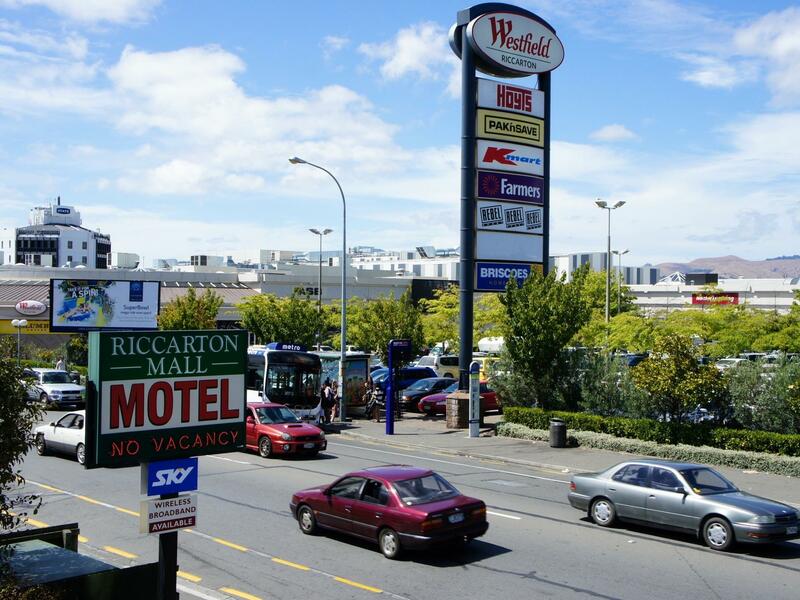 Place is nice and just opposite Christchurch's biggest shopping mall - Westfield Riccarton. Toilet room heater (not the shower heater) was not working but got fixed the next day. Hair dryer in the toiler was not working but was given another hair dryer within 10 minutes. 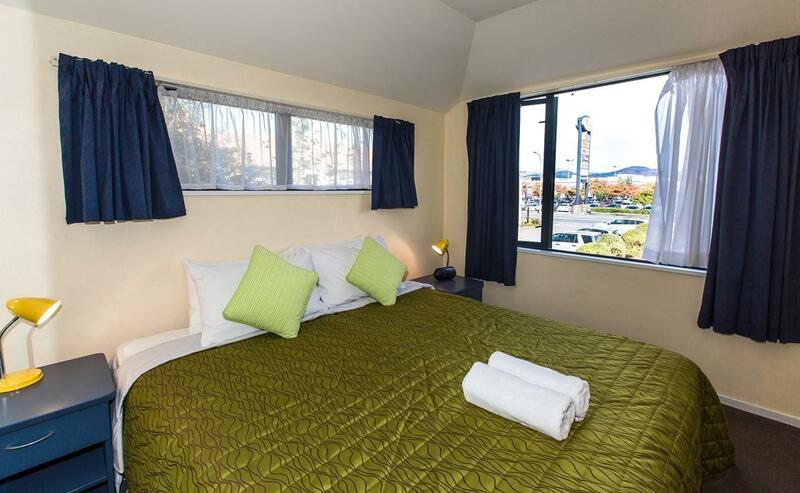 Convenient place to stay in Christchurch since it is just next to a mall. There are plenty of shops (food, etc) around the area too. Apartment is rather small but the location is just outside a big mall, Westfield shopping mall. Bus stop is outside too. We have returned our rented car and hence location was a big plus. A great place to stay with some awesome hosts. We would stay again. Very friendly and most helpful couple runnining the place. Room is newly renovated. Best toiletries provided amongst the NZ motels booked in my 20 days trip. Excellent. Highly recommended. 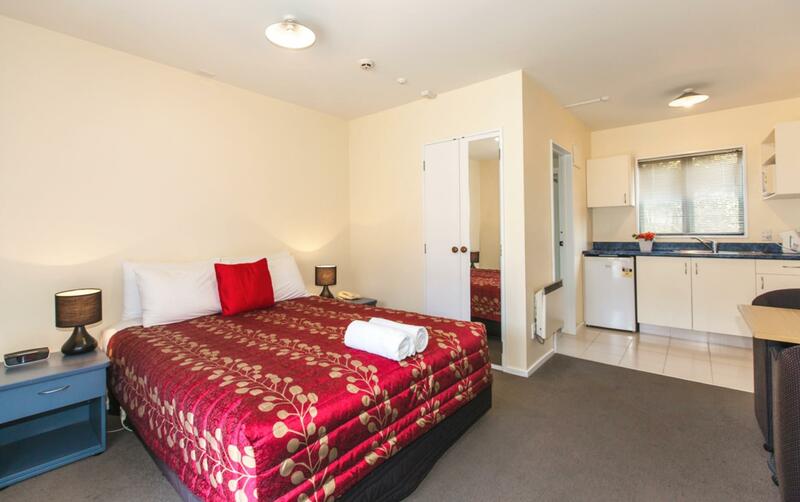 Would book this place if would to visit Christchurch again.